This is a follow-up piece of work with an exile who was previously identified and contacted. The protector easily allows contact with the exile, who had been witnessed in a previous session. 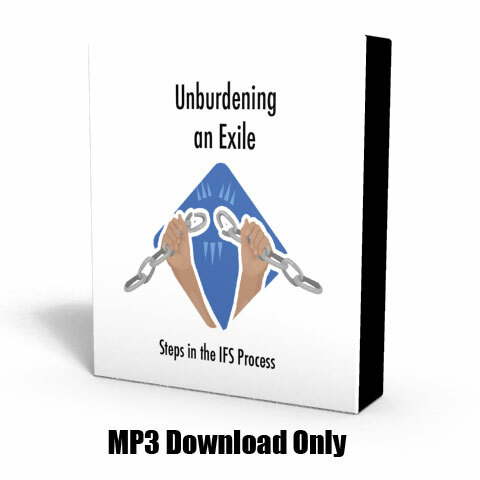 The exile allows the client (in Self) to enter the scene and be the one who hears her voice. The client then unburdens the exile and renegotiates a new role for the protector. This is a good example of how to follow up on a piece of work already in progress.